Patients receive an individual nutritional plan focused on establishing “nutritional ketosis” through very low-carb diets. Patients access their care team, including an overseeing physician and a dedicated one-on-one coach, through a digital platform that also allows for biometric monitoring by both patient and provider. The digital platform allows for more continuous care and at-home support than traditional in-person care models. Initial published results show significant reductions in A1c, weight, and reduction/elimination of medications after just 10 weeks. Beyond simply providing coaching, logging, or fitness tracking support, the Virta online clinic is designed to function as a complete diabetes care model. Virta Health launched in 2017 with a stated goal of reversing type 2 diabetes in 100 million individuals by 2025. Its model for bringing type 2 diabetes into remission focuses on establishing “nutritional ketosis,” in which a diet very low in carbohydrates causes the body to turn to fat and protein for energy. Virta’s initial trial results found that, after just 10 weeks, participants saw an average A1c reduction of 1.1% and lost an average of 7.2% of their bodyweight. Further, a substantial proportion of trial participants reduced the dose of or eliminated their medication, including 87% of those on insulin and a majority of patients using several common varieties of oral drugs. At six months these numbers continue to improve, with patients experiencing an average 12% reduction in weight and a 1.5% drop in A1c. Perhaps the most innovative aspect of Virta’s model, however, is its method of reaching and supporting its patients. 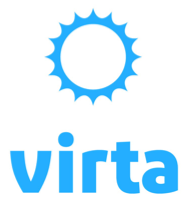 Virta describes itself as an “online specialty medical clinic,” meaning that participating patients interact with care teams digitally through the Virta app. The care team includes physician supervision and one-on-one health coaching. Virta also includes the opportunity to participate in peer support groups for those who are interested. The care team helps to develop an individual nutrition plan for each patient, monitors various biometric markers, and provides a steady source of support and guidance. Virta’s “online specialty medical clinic” model – featuring a multi-member care team, an individualized care plan, and regular support and interaction – makes it stand out among an extensive field of apps and other digital health supports. Beyond simply providing coaching, logging, or fitness tracking support, the Virta online clinic is designed to function as a complete diabetes care model. By allowing patients to access their providers through mobile devices, Virta presents a potentially sustainable solution to many of the barriers and challenges presented by care delivered in brick-and-mortar practices, including transportation and scheduling issues, gaps between visits, and more. In addition, Virta’s focus on reducing patients’ medication needs through lifestyle change alone presents a path to long-term cost efficiency. The first published results describing Virta’s outcomes from its two-year clinical trial showed that, at 10 weeks, of patients who had been taking some of the most expensive diabetes drug types, including insulin, DPP-4 inhibitors, and SGLT-2 inhibitors, a majority had decreased their dose or eliminated the medication altogether. While the involved, multimember care teams mean that Virta costs more than other digital diabetes supports focused solely on management – approximated at $400 per month for individuals paying out-of-pocket (although most individuals join Virta through an employer-sponsored health plan, meaning they pay little or nothing out-of-pocket) – it has the potential to produce major long-term cost savings if the early results show multi-year sustainability. Finally, while Virta is placing its marketing focus on individuals who have already been diagnosed with type 2 diabetes, the model has the potential to serve as a prevention tool for those with prediabetes. As such, the broader population that Virta might reach, and the potential to prevent future cases of type 2 diabetes, mean that Virta has notable opportunity for scale and for broader systems-level cost-savings over the long term. “About Us,” Virta Health, 2017, https://www.virtahealth.com/about. L. Amy McKenzie et al., “A Novel Intervention Including Individualized Nutritional Recommendations Reduces Hemoglobin A1c Level, Medication Use, and Weight in Type 2 Diabetes,” JMIR Diabetes 2, no. 1 (March 7, 2017): e5, doi:10.2196/diabetes.6981. “Clinical Trial Update: 6 month outcomes in patients with type 2 diabetes,” Virta Health, 2017, http://assets.virtahealth.com/docs/Virta_Clinic_6-month_outcomes.pdf.